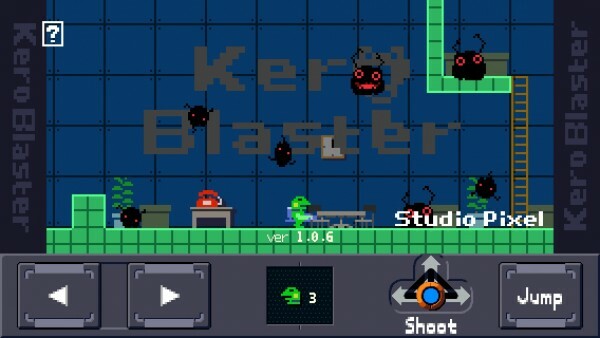 KeroBlaster ($4.99) by Studio Pixel is a difficult 2-D side-scrolling platformer on the iPhone that is similar to Cave Story (this isn’t surprising, as it is the same developer). 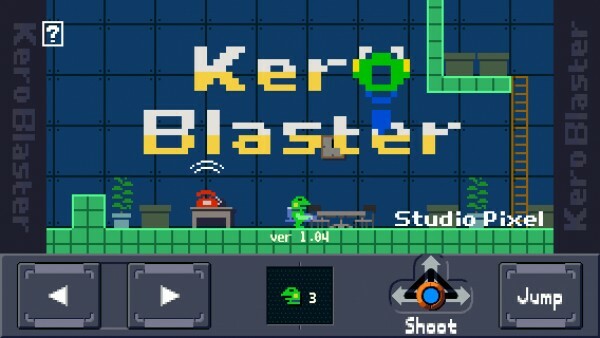 If you enjoy retro platformer games like Bloo Kid and Mutant Mudds, then you’re going to get a kick out of Kero Blaster. 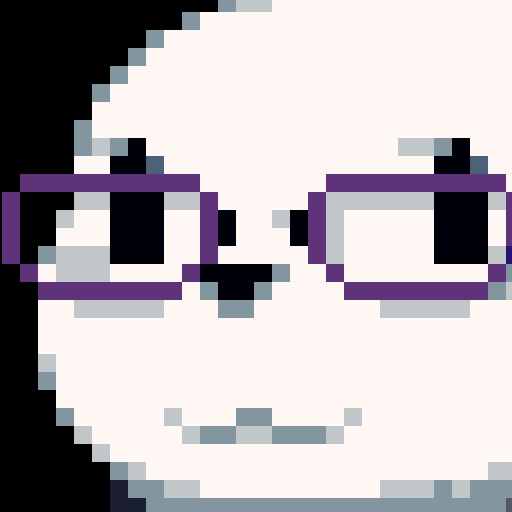 Cave Story has been around for quite some time (ever since 2004), and I’m sure that many of you have played it already. I actually have it, but it’s one of those games that I need to reinstall and give it another go. 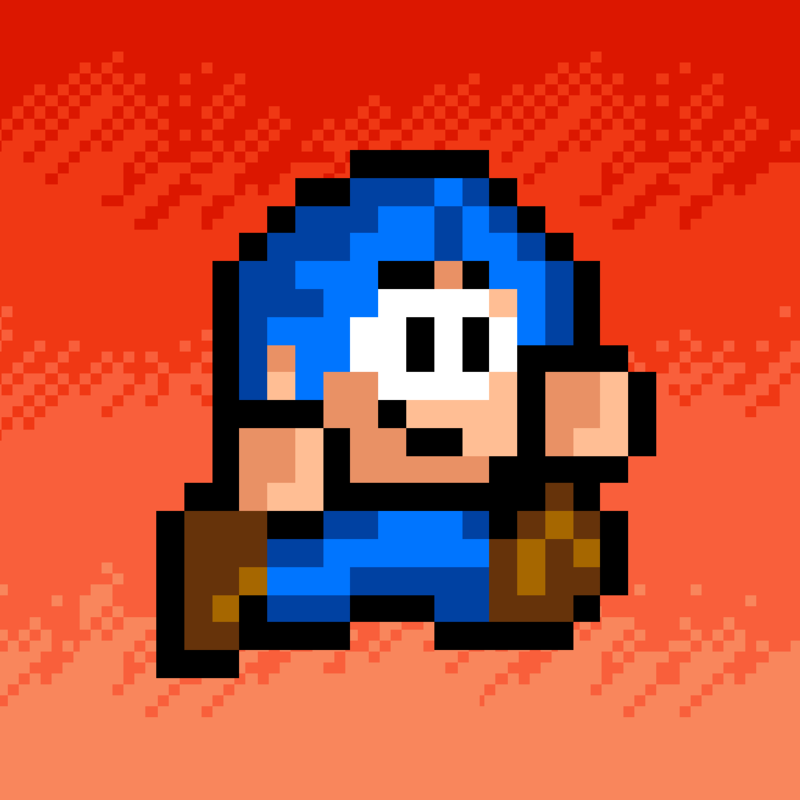 However, when I heard that the same developers were releasing an iPhone game, I was pretty excited about it. Now that it’s in the App Store, is it worth it? 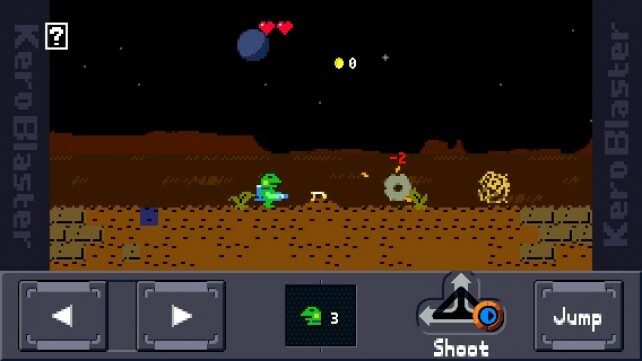 If you’re a fan of the retro, 8-bit graphics that were king back in the day, then you will love the visuals of Kero Blaster. The old-school pixelated graphics look delightful, and everything is bright and colorful. 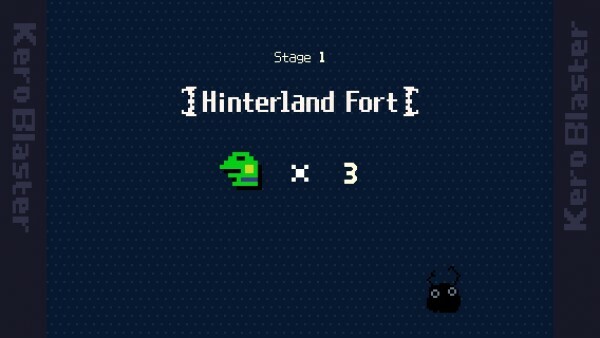 The character sprites are cute and charming, from Kero the frog to the various enemies that you will come across in your journey for Custodial Sciences. 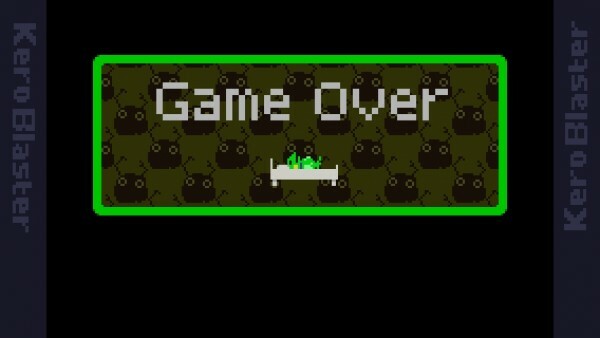 The animations in Kero Blaster are smooth and fluid. I love the chiptune soundtrack and fun sounds as well, because every little bit of the game reminds me of my youth. 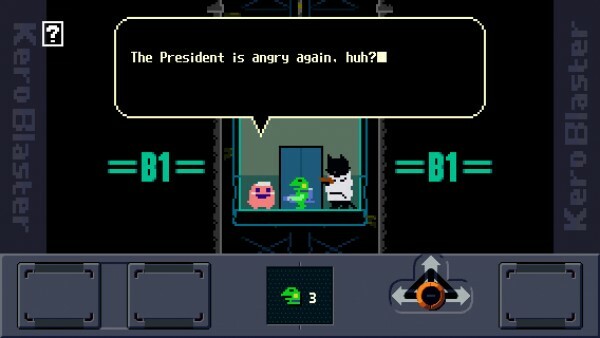 Like the retro games that it pays homage to, Kero Blaster doesn’t feature “levels,” as you will need to go through everything in linear fashion. The game’s title screen starts off as a playable scene, where you shoot the evil dark creatures and then the game will initiate. I found this interactive title screen to be fantastic, and a great lead-in to the actual game itself. Before you get sent off on your quest, you will go through several cutscenes, and if you love offbeat and quirky humor, then you will probably laugh a bit before getting started. The characters are all full of personality and appeal, and the dialogue is fantastic. In traditional side-scrolling fashion, you will move on to the next area by getting to the end of a particular section, and there will be checkpoints when you reach the next area, reducing the amount of headaches to an extent. However, each game will only give you three lives to start with, and you have two hearts each time, so be careful — a lot of planning and strategy is needed to get far in this game. Fortunately, you may come across a heart every now and then by defeating enemies, so make sure to grab them when you can. There is a thick bar at the bottom that will be for the controls, which are a bit unorthodox for a platformer game. But once you get used to it, they aren’t that bad. 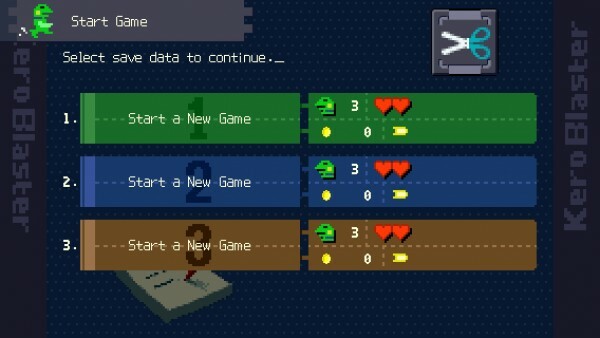 The buttons on the left are for moving horizontally, which is pretty straightforward. 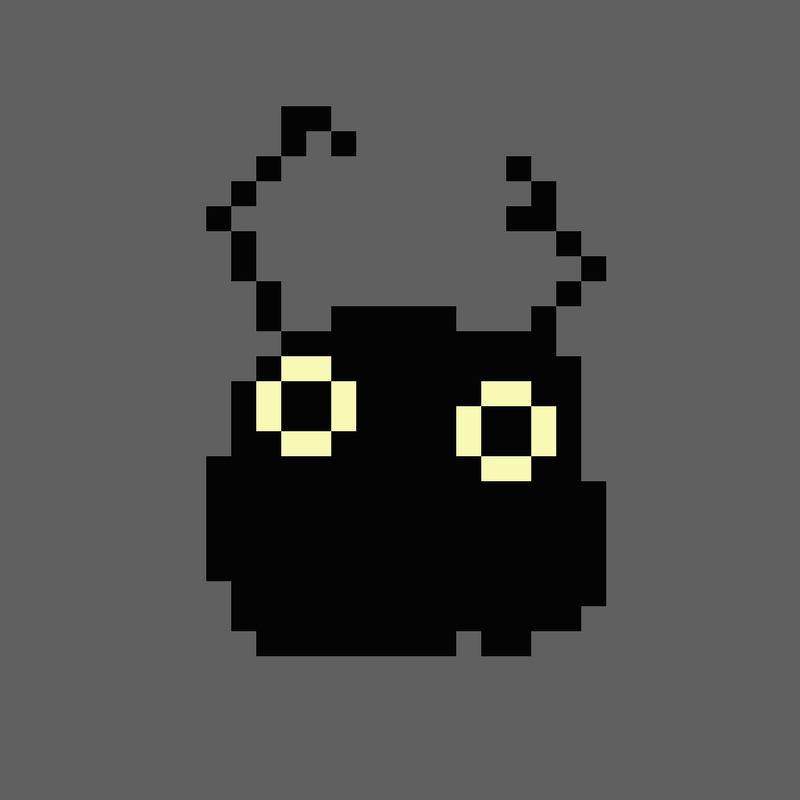 The center is where you can see how many lives you have remaining. The button on the right is for jumping. Shooting, however, will take a bit of adjusting, as it is a “switch” to trigger continuous shooting to the left or right, as well as upwards. If it’s centered, you will stop shooting. This is interesting, because the game is designed to allow players to continue to move and shoot at the same time without interruption (the environments are easy enough to traverse while shooting). 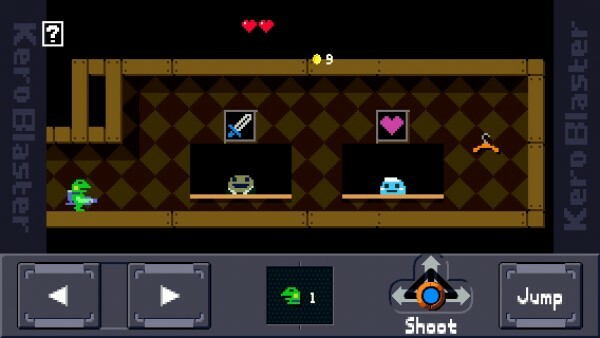 It’s rather nice, and makes the game a bit easier, though you still need to be careful of enemies and obstacles. The controls did take me a bit of getting used to, but it works great when you finally adapt to them. They can be considered a bit “sticky” to some, though. 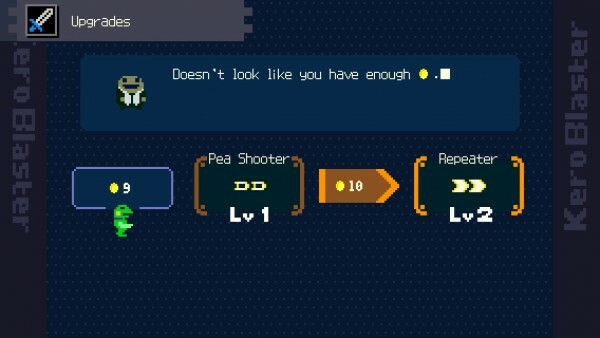 When you start the game, you will start off with nothing more than a basic peashooter with limited range and power. However, as you play, you will find items and shops with more weapons to upgrade to, and you can increase the power of your current ones. 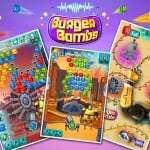 Of course, these will cost you money, and you can earn gold coins by defeating enemies. 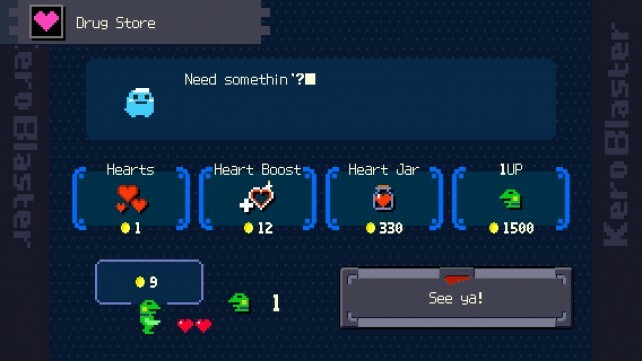 There are also shops to sell you more hearts and life refills if needed, though these will cost you quite a bit. 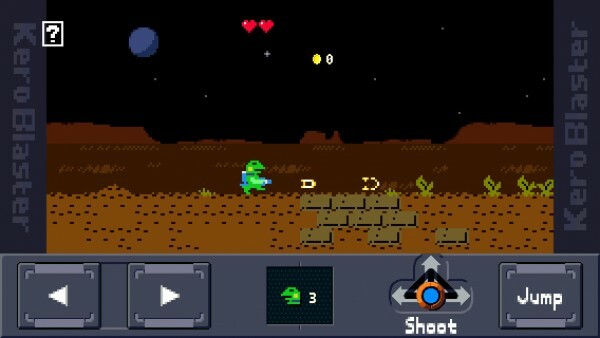 So far, I’ve found Kero Blaster to be quite enjoyable. I love retro platformer games, and Kero Blaster fits the bill perfectly. The visuals are gratifying for any old-school game fan, the chiptune soundtrack is awesome, and the gameplay itself is very challenging. Controls can be a bit weird if you’ve never played games like Cave Story before, but it doesn’t take that long to get used to. I just hope to see an iPad version in the future. 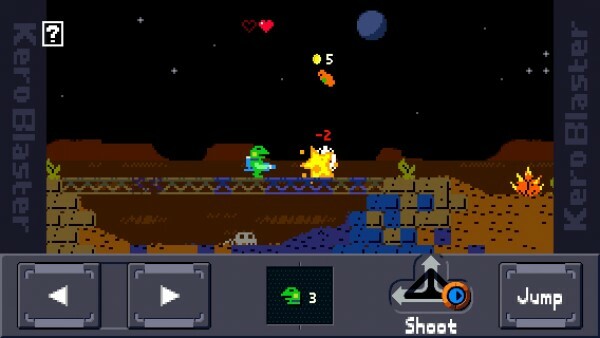 I highly recommend checking out Kero Blaster if you are looking to experience a retro platforming game that is quite charming this weekend. 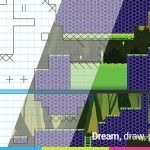 You can get it on the App Store for the iPhone for $4.99.